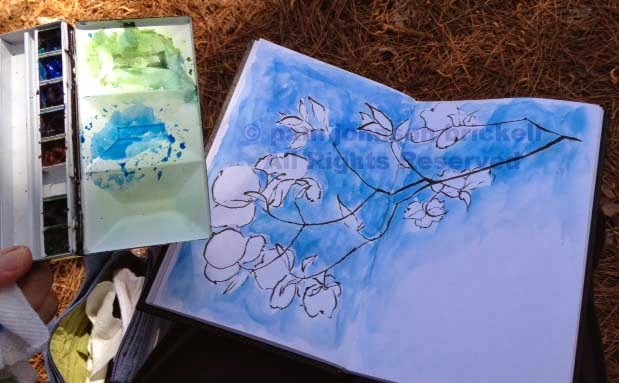 This is so pretty, I can just feel that breeze blowing through the branches, wish I could handle the brush pen as well as you do! Beautiful blue skies there - and flowering trees already? Lucky girl! Thanks for sharing the painting and the information :) Have a great week! 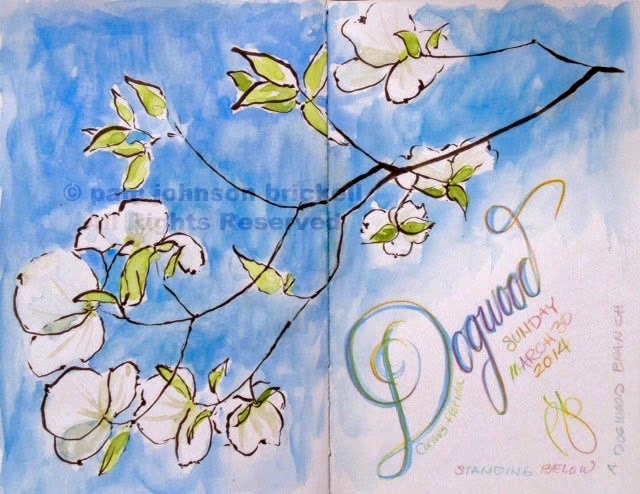 I love your beautiful sketch and am happy to learn that we may be getting some spring-like temps soon. And thank you for the info on the flowering dogwood. We have one in front of my building. There are no trees above it but maybe an apartment building counts? Thanks, Carol! In the wild, the dogwoods love to be tucked in under the taller trees. The nursery dogwood adapt well to being planted in the open. At my childhood home, we had a dogwood that was not happy under the edge canopy of our large maple tree. It stretched away to get sun.